Thank you for writing this. I have tried bleaching my teeth but it is still slightly stained. I talked with my dentist about veneers and I think I might go that route when I get the money saved up… It’s tough in this bad economy though. Thanks for your comment, Cathy. It’s always good to know that people are getting something out of what I write. I hope that the veneers work out good for you! Cathy – I hope you get the veneers. After many years of embarassment, I gave in and paid for the veneers. I have not regretted it for a minute. Yes, I could have gone on a fabulous trip, bought an inexpensive car, or made a down payment on a house instead of getting veneers. You have no idea how much better you will feel with the veneers. THANK YOU SO MUCH for this article. I had bad acne as a teenager and took several drugs for it. When I was in my late 20’s or early 30’s I noticed my teeth started turning darker, first yellow then a darker shade of brown (especially on my lower teeth – like in the photo on this website). My dentist told me it was because my mother took tetracycline when she was pregnant with me. I checked with her she informed me she DID NOT take anything like that while pregnant with me. For the longest time I have blamed it on the Accutane I took when it first came out as a “trial basis”. I just assumed because they didn’t know all the risks of it that it must have been what discolored my teeth. Now reading this article, I realize it was probably the minocycline I took. I recognized the name and remembered that was one of the medications I was on. I appreciate you stating “Minocycline is able to stain teeth even after they are fully developed…..” None of the dentist’s I have seen has ever informed me of this. I have tried bleaching and it did not work, so I will eventually end up getting the veneers…..when I can afford it. Thanks again for the article!! It looks like that probably was the culprit. Your dentists probably never informed you of this because they weren’t quite sure. We don’t go into too much detail about tetracycline in dental school. Luckily, I have this blog to motivate me to keep learning about different dental topics. For example, I probably wouldn’t have known that minocycline could affect teeth several years after use. Thanks for your kind words, and good luck with your veneers in the future! Thank you! I will recommend this website to anyone with dental questions. It was very helpful to me! Oh I’m so sorry. My internet automatically translated everything to danish, and that’s why I wrote in danish too. But my question is stille the same. 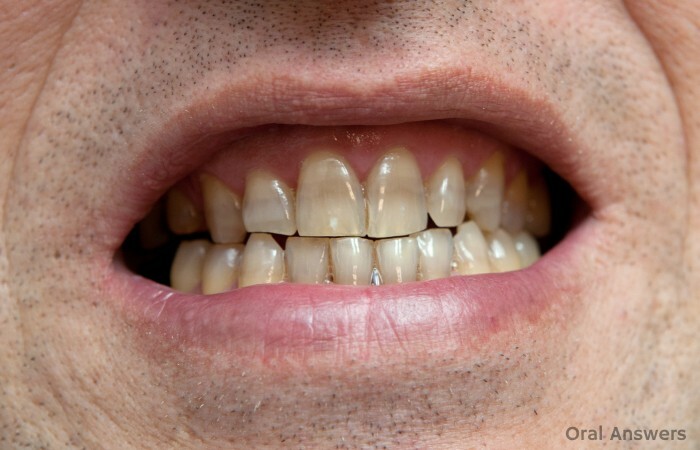 Do you get yellow teeth no matter what when using Tetracycline? I’m 16 and currently getting some pills called Tetracyclin Actavis against acne, but if my teeth will become yellow because of that I don’t think it’s worth it. Hi M – It’s alright, I deleted the Danish comment for you. Tetracycline incorporates itself into the teeth while they are forming. For this reason, doctors usually don’t prescribe tetracycline-containing products to pregnant women or children under 8. Once you turn 8 years old, your teeth have finished developing and you shouldn’t have any problems with yellow teeth. Some acne medication, such as minocycline, has been shown to discolor teeth at any age. I hope that helps. Thanks for your comment! Thanks for posting this. I have teeth stained from taking tetracycline as a child. For years I had the four upper top ones bonded, but it was never a long term fix. Last year I had veneers put on my top teeth. I almost have them paid off and will eventually have the lowers done. My dentist specializes in cosmetic dentistry and the procedure is $1,500 per tooth in Houston. It really has changed my life and I encourage people, if they can afford it, to spend the money. A lot of dentists offer an interest-free credit program where you can pay monthly for a year as long as you make monthly payments and pay it off within the year. The interest-free credit was the final encouragement to get me to do it. I am so glad I did. It has given me more confidence and I have strangers who tell me how beautiful my teeth are. Hi Julia – Thanks for sharing your story! I’m glad your dentist did a good job. Out of curiosity, how did you find a good dentist to do the veneers? When looking for a cosmetic dentist, it is helpful to see if they are a member of the American Academy of Cosmetic Dentistry. Also, be sure to ask to see some “before” and “after” pictures of patients that the dentist has seen. Also, some dentists have pre-selected patients who they’ve seen who wouldn’t mind sharing their experience with someone who is considering having a cosmetic dental procedure done. If you’re not sure about a certain cosmetic dentist, ask him or her if they have some past patients that you could speak with to see what they thought of treatment. Thanks for your comment, Julia – I’m glad that the veneers are working out great for you! You make an excellent point and I’m really glad you mentioned that about finding a “cosmetic dentist.” Houston is the fourth largest city in the U.S. and there are dozens of dentists who claim to be cosmetic specialists. I am very lucky because my dentist has worked at the dental school for 30 years. He almost always refers me to his former students. This time he referred me to a former student who was the partner of this dentist. He had discouraged me for several years for getting the veneers because of the cost and the difficulty in finding someone. She has done such a great job. I literally have strangers tell me what great teeth I have. That’s a great method to find a dentist, Julia. I’ve found that a lot of the dentists who teach at my dental school know the reputations of many of the dentists around our city. They can usually tell me which ones are known for doing high quality dental work. With veneers, you really want to make sure you find the right dentist, since so many people will be looking at them. Thanks for sharing with us! Hi Don – Depending on the severity usually veneers can work. I think that a porcelain veneer would be the best option because the dentist only removes a thin layer on the front of the tooth, rather than cutting around the whole tooth as is done during preparation of a tooth for a crown. Your best bet would be to find a good cosmetic dentist who has experience in treating tetracycline staining. Ask to see some before and after photos and make sure that they are the dentist’s own work, and not simply stock photos. A good resource that you may want to look at is a new book called The Naked Tooth by Dr. Colleen Olitsky. She talks about veneers and tells you how to find a good cosmetic dentist. I found the book at my library – if yours has it, that can save you the cost of buying it. I hope that helps, Don. Let me know if you have any other questions. Thanks for your comment! Hi Julia, Thanks for sharing your experience! I’m glad your dentist did a good job. I have the same problem with my teeth. I live in Houston, TX. I need to find a good dentist to fix my tetracycline teeth. My dentist suggested me to do crown to cover the gray color and discouraged me to get the veneers because of the difficulty in covering compleltely the color. I would like to do veneer if it works very well. I wonder if you can give your cosmetic dentists name and phone I can consult and get my teeth fixed. It seems you have a very good general dentist. If you can give his phone number I want to switch my dentist. I appreciate it. Hi Tom, great work you have shared with us. I have a question about giving Amoxicillin to children especially around the age of 2yrs old for treatment; who have ear infections such as Otitis Media. NOw does amoxicillin cause any sort of teeth discoloration even if its given at the proper dosage for the child? Thank you for your response…. From what I gather, it doesn’t appear to be as widespread as the tetracycline staining was many years ago, but it would seem that if it is taken in high enough dosages, amoxicillin could cause some tooth discoloration in certain people. Thanks for your comment, now I know how to answer this if I get asked about this by a concerned parent in the future! My 16 month old was prescribed Amoxicillin 2 months ago for an ear infection. She had brand new beautiful white teeth. But in the last month they have turned yellow. I really don’t know what to do! I never took anything while pregnant & the yellow just appeared. I feel so guilty every time I even think of it. Have no idea what I will tell her when she gets older. Also, is there a treatment that can be done on a child? I really appreciate that you wrote this, however; discovering that the staining comes from a layer under the surface is truly discouraging. Thank you! Hi Tom, this question does not have to do with teeth stains but it does involve the use of Tetracycline. I have been having issues with sensitivity in a couple of my back teeth for a couple of years. I suffer from a condition on the left side of my face that has resulted in the surgical removal of two benign neoplastic tumors on the parotid gland. One of the complications with the surgery is the possible damage that it may cause to the trunk of the facial nerve. I suspect that this damage may have affected my teeth in some way and this might have led to the development of pain in several healthy teeth. The pain occurs when I bite down on hard food and there is also an issue with hot and cold. I have been using Sensodine toothpaste for more than a year now and although it has helped with the hot and cold issue there still is a problem when I bite on hard food. I also wear a Nightguard since I grind my teeth. I have been consulting with my dentist about this issue and the latest thing he has suggested I do is to take Tetracycline to help with the sensitivity in those teeth. I tried doing my own research online but I have been unable to find any documentation on the use of Tetracycline to help with possible pain or sensitivity issues. I was wondering if you know anything about the use of this drug for this problem. Hi JM – I’m sorry to hear about your dental pain. I know that it can be stressful. My best guess is that your dentist believes that there are bacteria getting in between the teeth and your gums. This could cause inflammation of the periodontal ligament. In my periodontics class, we talked about giving a long-term low-dosage of tetracycline to help fight the bacteria that cause periodontal disease. Other than that, I have not heard of tetracycline being used to help with pain/sensitivity. I hope that helps, Juan. If you have any other questions, just leave another comment and I’ll get back to you. Thanks for visiting, and I hope that the pain in your teeth starts to go away soon. As far as I am concerned, Pfizer owes me (at least) a mouthful of dental implants! I was just a three year old child who was given Pfizer-made tetracycline which caused my dental staining. Pfizer was grossly negligent and should pay for my dental work. Hi Rebel – I’m sorry to hear that! Was it before anybody knew that it could stain teeth? Thanks for your comment. I am in the same boat.. my mother took it in the 70s before they knew it stained teeth. I too feel as if they should fix the color of the teeth. Have you heard of anyone actually getting the company to fix the problem? Hi Colleen – I haven’t heard of bleaching making tetracycline stained teeth any worse. I just did a quick search in a health database and came up empty handed. From what I know, bleaching is the best place to start when trying to get rid of the tetracycline staining on your teeth. I found this study that discusses the effect of bleaching on tetracycline-stained teeth. All of the teeth became lighter. The only problem that occurred was slight sensitivity in the teeth, and that only happened in one person and it eventually went away. I hope that helps. If you have any other questions, let me know. Thanks for your comment! Hi Tom – I tried bleaching, but it made my teeth so sensitive I had to stop before the end of the treatment, and although it did lighten my teeth, they seemed to go back darker afterwards. – Minocycline discoloration only occurs in certain people – only 3 to 6% of people who use minocycle for an extended period of time will get discoloration. If you don’t fit into those 3-6%, then you shouldn’t have anything to worry about in terms of tooth discoloration. – In the affected 3-6% of the population, the amount of time it takes to discolor your teeth can range anywhere from 1 month to over three years. – Some researchers believe that if you take Vitamin C supplements, then it will block the staining caused by minocycline. I hope that helps, Vanessa. If you have any other questions, just leave another comment. I was given tetracyclin as a newborn in 1966, to combat severe jaundice, and have grey/yellow teeth as a consequence. I suspect that my childhood dentist decided not to correct slight crookedness in the teeth on the grounds that they would still be grey anyway. I have lived with this for over 40 years, and to be frank, it does not bother me. I am aware that I have “British” teeth (I am a Brit), but it doesn’t stop me smiling or make me self-conscious. 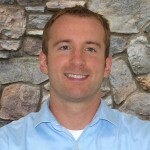 Hi Matt – Thanks for sharing your experience. You have a good attitude regarding your teeth. If it’s not broken, then there’s no need to fix it. I’m a 57 year old woman in good health who was prescribed tetracycline after the age of 18 (permanent teeth obviously formed). I took the drug for over 30 years(always tetracycline never minocycline) because it seemed to control acne on my shoulders and chest. A few years ago I noticed a slight gray tinge at the base of my two lower middle teeth and along the top gumline of my four front upper teeth, which seems to be getting progressively worse. I have used teeth whiteners and while they lighten my teeth they do not seem to lighten these gray areas, or if they do lighten them they don’t lighten them up as much as the remainder portion of my tooth(s). 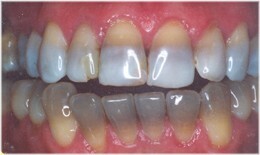 Have you ever heard of this discoloration, graying of the teeth, from tetracycline not occuring until late adulthood? My dentist has not and seems quite puzzled by this. He is going to a conference in New York City soon and is going to present photos of my teeth as well as a history to get some input. I’ll let you know what he finds out, but in the interim was wondering if you had any insights? I have the same exact problem! Except, I took minocycline for years to control acne and I suspect my pediatrician as a child gave me tetracycline for constant ear infections. I tried bleaching and after a few months my lower middle teeth became gray at the gum line and upper four front gray at the gum line. Has anyone told you if this can be fixed?!! I took a lot of antibiotics an thus lost a lot of enamel. I now brush with baking soda, not tooth paste with its typical slimy glycerine, because if your teeth are OK then they will have a nice smell and appearance regardless. I take vitamins D3, K2, and A. It’s been a year since I’ve been doing this and my teeth look better, though still not totally white. In some bright lights they look better than during a dim light. Anyway, I’ve had enough of dentists. Doctors and dentists can cause more problems than they solve. There are some alternative dentists that let you know of the dangers of bad bacteria on your teeth, so the the truth is out there. Even regular dentists are finding out just how bad root canals and veneers are. Just recently a dentists told me I needed a root canal for my back tooth. Indeed my cavity there smelled but I used the small bristle brush and tooth picks to clear it out. I drank and swished my mouth out with :goldenseal” and “echenicea.” It still smelled for a while but after a month the tooth began to recover because the smell went away and there was no pain. Eat plenty of greens. Solve your problems naturally. It’ll take time but you’ll like how you solved your own problems. Thanks for this article. My mother took tetracycline while pregnant with both me and my brother and we took it as children in the 70’s. I believe my mom said it was in liquid form. His teeth are very bad as he took it more frequently. He needed to have all of them removed due to the staining. My teeth were brown at the tops in the front only. The rest were light yellow. After reading this I now know why. My fronts are currently bonded and I need to have veneers put on when I have the money. I wish the company would pay for this ! My name is Marisol. I’m 46 years old. I have had problems with my teeth because of tetracycline. All my teeth are gray-black color. I live in Indiana. Do you any Dentist here help me? Can sue my practitioner or insurance or the maker. I was obviously underage – since my teeth are now brown. Hi- I would like to know why the company who produced tetracycline have not been held accountable for the damage this product has done to so many consumers teeth. I was a child when I was given this drug and at that time had no idea of what it would do to my teeth. I am embarrassed to smile and I can’t afford to get veneers. I have lived with this embarrassment for years. Surely the company that makes this drug knows the side effects. I know at the time I received it as a young child, my parents were not advised of the side effects. What person wants dark gray teeth? Thank you for this article. I began noticing the change in my teeth around the age of twelve in 1979. My teeth were white and I took very good care of them. This was a horrific experience for me and no one in my family ever discussed it or acknowledged that there was something going on. It wasn’t until I became an adult and met a brother and a sister that had the same staining, that I found out why my teeth discoloration was similar to theirs. Tetracycline was the cause. Even today, I would like to get rid of this ugly sight in my mouth. I appreciate this article. I hope there is an easy remedy to reverse or remove this awful staining. Thank you for your answers. I’m also tetracycline patient and i have capped (Dental crowns) all my teeth. around age of 15 have done with my upper and lower. and around age of 22 i have done with all teeth. now I’m 30 yrs old. I’m happy with my dental crowns so far. I have had few replacements whenever it was required. But what i would like to know is up to what age i can survive with my crowns and what are the other complications with this? 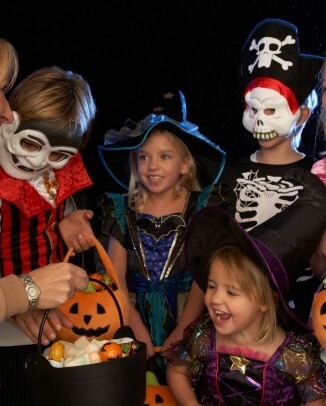 Hi Sophie – Any time we cut into a tooth, it can cause some slight damage to the nerve. 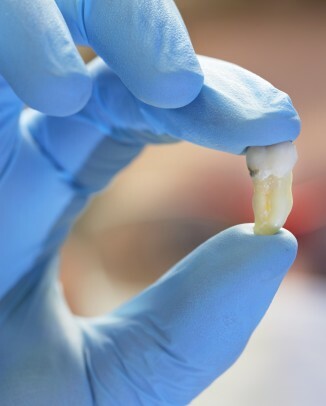 Cutting all the way around the tooth for a crown can sometimes cause the nerve to die, making a root canal necessary. 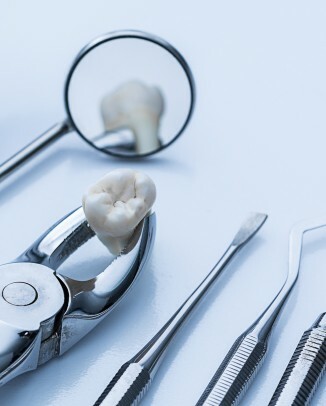 The main thing to watch for is to make sure that you are brushing really good around the gum-line to ensure that you don’t get a cavity between the crown and the tooth. Most crowns will last anywhere from 5 to 15 years. Some have lasted well over 40 years, so it all depends on how well they were fit to the tooth and how well you take care of them. I hope that helps, Sophie. Thanks for your comment! and What is the best time gap for replacement for crown? hi, i have discoloured teeth due to my mother taking this drug while pregnant, i’m about to go for veneers, this is expensive ,i was wondering if the drug company that makes this drug can be held responsible, is it worth pursuing them for costs of treatmeant? My daughter’s adult teeth are coming through discoloured and unfortunately the dentist has been less than sympathetic and has offered us little advice. Not sure what to do. She has 2 incisors at the bottom which came through first and are fine, but the molars which have come through at the back and more importantly an incisor at the top are coming though discoloured and flecked. The dentist told my 7 yr old that this was disappointing and told me that there was nothing he could do and it was probably due to an infection that she had when her teeth were developing. She hasn’t had any major infections and I can’t think whether she has had antibiotics. The only thing I can think of is that I had antibiotocs for mastitis when I was breastfeeding, but surely I wouldn’t have been given ones that could possibly discolour her teeth. Can you offer me any advice please? Should I request to see a different dentist? It is so nice to know that someone out there knows what they are talking about and is willing to share that information – thank you! I have spent years hating a brown line which runs right across my two front teeth and feeling so embarrassed by it. There are no other problems with my teeth besides this stain and I am reluctant to have veneers etc which will need the teeth to be altered. When I was 16 my dentist started treatment on it and as I was young and naïve I didn’t get all the info I should have, instead I sat there not knowing what he was going to do. He started what felt like sanding my teeth which was painful and he was quite a rude, curt man and I guess I was a bit scared of him too. The receptionist tried to explain to me what he was going to do (‘paint something on like nail varnish’ !?! ) when I was leaving. When I got home I was so upset I decided not to go back for the second part of the treatment – no idea what it would even have been! and I am sorry to say I was put off of going to any dentist for a long time. I’m 29 now and have just this year braved going back to a dentist. (The horrible old one has retired and a lovely new dental surgery has opened in his place which prompted me to give it a go) The dentist there was really nice and made me feel silly for putting it off for so long. However she had no experience of what the mark on my teeth is and said all she could do was drill out the darker area and fill with composite bonding ‘feathering’ it outwards. I left feeling disheartened as I had built up this new visit, years since my last one, and expected to be told she could zap it away with a magic new laser beam! If only. I then chose to go to a swanky expensive dentist in London, thinking they were the best of the best… No such luck, he did tell me it could have been tetracycline or fluorosis, but that he had no experience of treating either. He started to tell the nurse details for Veneers and I had to stop him and tell him I wanted to discuss what options were available to me first. He seemed surprised that I wanted to keep my teeth as they were – “I know you want to get rid of the stain” he said “but what about the rest of your teeth, are you really happy with that smile?” well aside from feeling a bit self conscious once he said that, I listened to him explain all about lumineers and how he would ‘give it a go’ and how I would be his experiment case. Then he eventually revealed he had had lumineers on his teeth and didn’t like them and wouldn’t recommend them. He was actually sulking because I wouldn’t let him do veneers on all my teeth. It proved to me that just because you pay more, it doesn’t mean you will get a good dentist. I have found out more from researching online and reading websites such as yours and I am so grateful to you, as I’m sure many others are too, for freely giving out this advice. As I said, I am reluctant to have veneers etc, and I am currently using a tooth whitening kit which is like a pen where I can target the evil brown mark. It has been 5 days so far, very little change, but I will not give up! Sorry for the long message – however, as I’m sure others will agree, this is something that can really get you down at times. I’ve been prescribed Oxytetracycline. Before I took them I saw the pictures on this page. That was googling research for five minutes. It’s a real shame that the British Medical Association didn’t google it for five minutes to see what the effects of their prescription treatments are..
All the doctors I visit at the surgery follow written down guidelines and this med was at the top of that list for my condition. Yet he didn’t mention to me the risks that are associated with taking them. This is not responsible and I do not consider permanent black teeth a mild side effect. I have no idea why they continue to prescribe tetracyclines if they KNOW of these risks. Hi John – Tetracycline can be a very effective antibiotic to fight against certain microbes. As an adult, you wouldn’t be at risk to develop stained teeth since all of your teeth have formed. For example, if you were a young child and took tetracycline, it could stain your teeth as they are developing. Or in the impossible event (I’m assuming) of you becoming pregnant, you would not want to take it either as it could stain your baby’s developing teeth. I hope that helps! Thanks for your comment, John as it allowed me to clarify that from the above article. Have a great day. So, to clarify, you are unaware of any cases of tetracyclines causing tooth discolouration in adults ? That’s correct – it discolors them during tooth formation, thus if all of your teeth are formed, then it will not affect nor discolor them. I hope that helps, let me know if you have any other questions. According to this NCBI article, “Adult-onset tooth discoloration following long-term ingestion of tetracycline and minocycline has also been reported.” It’s probably rare but it looks like it is possible. I have begun taking mineocycline this last year or two and recently started getting brown discoloration on my front tooth. I was not aware of this side affect.. It’s dissapointing. I’m 34. Hi Tom–thank you so much for your article! In my teens I took Accutane, doxycycline and tetracycline for my acne. Over the last few months (I’m in my mid-twenties now), I’ve been noticing my front two teeth are taking on a grayish-brownish tint. I’m really disconcerted by this and am wondering, could it be the long-term after effects of the medication? Do you have any suggestions? I’d like to ultimately get veneers (although it’s not TOO bad yet) but that’s cost-prohibitive right now. Is there anything I can be doing to prevent the discoloration from getting worse and, more importantly, reversing what’s here? Please let me know. Thanks so much again! Hi Tom, thank you for writing this article. I’m so glad I came across it. I believe I have a mild to medium level of staining due to tetracyline. I don’t feel confident smiling with my teeth showing because of their color. I have always wanted nice white teeth so about a month ago I decided to get porcelain veneers to give me a white bright smile. I decided to choose the color 0M2 on the Vita color chart. This color is equivalent to BL2 I believe. It’s the second whitest color in the bleach shade but still natural. When the dentist showed me the veneers the looked very nice to the naked eyes. He simply lay them on my teeth without any temporary cement/glue and asked me what I think of the color. We both thought it look fine to go ahead with cementing them on. To my disappointment, the color of my teeth now is no where near the color I chose to have for my teeth. They’re sorta white but have a bluish-grey undertone which really drown out my complexion. It seems to me the dentist and the ceramicist were trying to make the veneers really natural looking assuming that if they make them very translucent they will achieve this goal but forgetting that the color of my tetracyline teeth will show through veneers that are too translucent. I wish they had made the top portion of my veneers near the gum line more opaque while making the bottoms ends transparent so that they would still be natural. Because I certainly do not want chicklet teeth either. Or perhaps the dentist chose to use the wrong cement color to bond the veneers. I really don’t know as I’m not a professional. The ceramicist n the dentists are. I trusted them to understand colors and how outer influcences will cause a change in color and explaining that to me before really cementing them on. If the color was a little off I could accept but now comparing my teeth to the shade chart, there is quite a difference in color. Definitely no where near the color I chose for my teeth to look like. I’m now very sad n frustrated with my veneers. In this situation, do I have the right to ask my dentist to redo them again base on the fact that he didn’t use any temporary cement in the same color of the final cement to test the final color outcome for me to really see and approve and thst now the color is nothing like the color I picked? Please give me your opinion on this matter. I would really appreciate it. Ps: sorry for the extremely long comment. my teeth is stained due to a medication my mum took when she was pregnant. now with this your write up, i now know what to do about my teeth. thank you so so much. All my molars and premolars had thick horizontal yellow stain on it. I am handsome and i do get females hanging around me but i always shy away. I am embarrassed with my teeth and i always laugh or smile with my mouth closed. I have few friends and i hadly smile or laugh with comfort. Am ashamed of my teeth. Thanks for this oral information but i must say it is sad and discouraging that veeners is so costly. It was confirmed that my stains are from taking tetracycline as a child. It has made my life a nightmare. I don’t ever smile and if I laugh I cover my mouth. I was made fun of as a kid and still am some times as an adult. I cannot afford veneers and tried whitening plates prior to my wedding 20 years ago, but that did not work. I faithfully go to the dentist every 6 months, have for years, but nothing helps, not even regular cleanings. Your smile is the most important asset you can have. If I ever come into money the first thing I would do it get the veneers. It’s depressing, I still cry a lot about it. Your smile is everything. I made sure both of my kids have million dollar smiles and white teeth, they lucky to be so beautiful. Tina, I totally feel you, every single word that you wrote. I am in the same situation. You can hardly find a single picture of me smiling with my teeth shown, not even pictures from my wedding. Because I am always too embarrassed, even feel ashamed, to show my ugly tetracycline stained teeth. Coming across this blog makes me feel I am not alone in this world. There are thousands and thousands of people like me suffering with tetracycline stained teeth. Recently I researched and found this whitening product called KOR whitening, their most intense whitening program called Ultra-T, claims to work on tetracycline teeth. I don’t know if it works or not but I am going to give it a try. If it does work, I will come back here and let all of you know. Have you tried Kor whitening? I am considering it too. Would taking doxycycline cause any tooth discoloration? Thank you. Same here Drew caps dentist said would cause $6000 I’m disabled and can’t afford that wish I could find a caring dentist who would do it free or even the bad side of this to sue the drug manufacture and or Dr who did this to me any thoughts or maybe an organation who would help with the cost? hi I’ve been on oxytetracycline since September 2015 I’ve noticed my teeth are going yellow is this because of the medication ad should I stop now will they go back white ?? It’s been so hard for me not to be able to smile for my whole life. Now at 33yrs old I still can’t. My mom took tetracycline when pregnant and my teeth have been stained since then. She denies it but all dentists say the same that she took it. I haven’t been able to smile like I wish I could and I haven’t been able to afford veneers. Due to the darkening & poor mouth health as as a child born in another country w not much guidance I now have root canals of good colors on teeth but dark ones. I’m so embarrased to smile & it’s the worst feeling. I’m hoping to save up some money and look into veneers. I soooo envy ppl with beautiful smiles, I could have had one. Then again I thank god bc only he knws the reason why my mother took the antibiotic, maybe it’s the reason why I’m still here today. I have stains on the 4 top front teeth. Ever since I was little. Every dentist I’ve been to says I have to get caps. There is now way I can pay for it. Unfortunately. I’ve calculated it and it’s going to cost me about $5,000+ because those teeth are sensitive as well and they’re wanting to do root canals on all 4. Bleh. This is an interesting article. I’ve always been told it was the water in this town. There are a lot of people here with the same stains on their teeth. Thank u for taking the time to explain this.Growing up as a kid I realized my teeth were yellow and I can remember there were times my auntie would use a razor blade to try to scrub my teeth but they still remain the same.I asked my parents many times why my teeth were yellow but they didn’t know why they just said my teeth just started growing like that.I always feel very embarrassed to smile in public.Atleast I now know why.I am 30years now.Is it possible for me to get treatment now? Thank-you for this information! I’m researching this subject because I am a victim of bad tooth discoloration from tetracycline use as a teenager (acne), and my own daughter, at age 20, was just prescribed doxycycline for acne. I’m concerned that she will develop the same awful gray teeth that sprang up on me 35 years later. Five years ago, at age 50, my beautiful smile began to darken. I now have teeth that are a light shade of gray. It’s very noticeable; I even had a child ask me why my teeth are that color. My dentist diagnosed tetracycline discoloration from the antibiotic I was given as a youngster. Bleaching didn’t help, and veneers aren’t in my budget. It’s an uncomfortable thing to live with, and I don’t want my daughter to have this show up in her 30 years later. I’m 51 years old from the UK and my teeth are a horrible yellow, grey colour. It’s been a problem all my life .. seeing photos of me hiding my teeth at age 11 breaks my heart, apparently I suffered with bronchitis as a baby and I was given liquid antibiotic. My younger sister has beautiful white teeth, I have three children and they all have Beautiful teeth, not a filling between them. Any dentist I approach say the same thing , that I have straight strong teeth,so I’ve left it. I recently split from my wife and I’m finding dating really hard as everyone seems to have perfect teeth. I’m know desperate to do something about this problem finding this site has given me a ray of hope .. god bless .. I, too would like to ask the doctor about teeth and doxycyline. Thanks! Any risk at all? Thank you so much for writing this article. It helps to know that there are so many other people who are dealing with this side effect too. For my entire life I have faced the fact that my teeth did not look good. I received Tetracycline during kidney surgery at age 3 1/2. Apparently, this is when my permanent teeth were forming. All of my front teeth are grey in color and have a dark line near the top. My molars came in with NO enamel. I remember going through many hours or torture in the dentist’s chair because they all had to be ground down and bonded. When I was younger, like so many others who have commented on this post, I didn’t smile much. I eventually just accepted that this was my look and I learned to live with it and to love myself. Like so many here I tooth have had gray teeth for 50 years due to medication I was given when young. I really notice it when I take a picture with a few friends the same age as myself and see such a huge difference in the color of our teeth color. These days I just always smile with my mouth closed. Very sad! Yes, I agree with many on here that I would like to see the company who made this drug held responsible. Thanks for this website, Tom! I’m like all the others – stained, gray teeth from my mom taking tetracycline when she was pregnant with me. My question goes a bit further, though. I’m 54, and am having big issues now with cavities and needing crowns. My dentist said today that the two teeth he was working on today have small cavities on the surface, but that the decay was rampant “inside” the tooth. I like to think I take good care of my teeth, and wonder if these “deep” cavities are another side effect from the meds my mom took. FYI: I have one tooth (on the upper left side) that has been terribly colored and “rotted” looking my entire life. Surprisingly, it has never had a cavity. I grew up being so quiet around friends all in the bid not to expose my tetracycline stained teeth; I smiled less with my mouth closed and my self esteem/confidence was greatly affected by my brown teeth. Now as an adult, I’ve accepted my ‘special’ feature and I’ve learned to be less conscious of it when I talk, smile or laugh. However, I’m so looking forward to a beautiful bright smile whenever my budget permits. Thank you so much Tom, for this detailed article and the comments, it has encouraged me knowing that I am not alone in this. Comment:i am wondering if i could get this veneers here in nigerian,i have a similar case with the ones commenting and am nor happy with it,my teeth was stained by d drugs given to me by my mum when i was a child till now,being a young girl of 19yrs,i always feel ashame chatting with my besties,i av tried every thing possoble to regain my white teeth bt it never work,please i need ur help doc tom,if i could get the veneers here…at what cost? I was prescribed tetracycline as a kid when I was 6 years old and now that I am 30 I have barely any of my top teeth left. They have all pretty much rotted. I never knew what happened until I recently had my daughter and a Nurse at the hospital asked me about my allergy to tetracycline and how old I was when I found out I was allergic. I didn’t understand why no one could ever tell me what was wrong with my teeth because I didn’t do drugs and I brushed them all the time. Well apparently the same thing happened to this nurse only to her bottom teeth. It was a relief to finally find out it wasn’t my fault but I still have no way of fixing them with a low income and 2 kids to raise. It wouldn’t bother me so much of I couldn’t tell that everytime I talked to someone they were looking at my teeth instead of me. I also feel like I’m embarrassing my son when I’m around him and his friends. I just can’t find an affordable way to at least have them all removed. I was born in 1963 and my mom took Tetracycline while pregnant with my sister and I ( we are twins). My sisters teeth are worse than mine. I have tried bleaching, nothing works. I have lived with them for 54 years, so I will keep them! Thanks for the article though, it is very helpful! hi ,, 3 of my tooth on the upper jaw line is half yellow..and also exist a small hole …when my age was 5 or 6 it occurs from then …by consulting with the doctor i came to know its happened as my mother took some dental medicine during her pregnancy ..is it possible to cure the hole and the color ?…. recently i also got to know that regrowing of human teeth is possible ..is it available in clinic ?.. My best friends mom took this medicine while pregnant with both of her girls, my friends teeth are straight and well cared for but like so many others, she doesn’t have the money for veneers. Do you know anyone who would finance them and I would even be willing to help her pay as much as possible. She is gorgeous with literally grey front teeth. My comment runs hand in hand with Susan Hutchens’. My husband’s mom says she was given meds while carrying him that caused the grey discoloration of his teeth. (Early 1960s) My question is if these meds also affected the structure of the teeth. His teeth have been cracking and breaking off in chunks. His dentist has put in a few crowns and he’s had three dug out in chunks by an oral surgeon. I keep wondering if the structure of all of his teeth was affected, is it worth continuing to try and salvage them. The dentist wants to put in a partial to bridge a gap that will be left after yet another tooth gets pulled. If the teeth will continue to degrade because of the effects of this drug beneath the crowns and partials are we flushing our money down a drain? I was always sick as a child and was prescribed tetracycline a number of times. Back then, no one knew that it could cause discoloration in permanent teeth. It also caused pits on the surface of my teeth and thin enamel on the ones in the front making them sensitive. I was teased horribly by other kids. I actually tried veneers and they were successful for a while. As an adult, my dentist used the bleaching process and it worked pretty well. The only downside to bleaching is that you have to continue the process forever. Now in my fifties, I’m having cavities set in where there are pits even though I take really good care of my teeth. I would like to have all of my front teeth capped if I could afford it. Thank you for your article – very helpful! I’m a gray tooth baby from the 60s.. My mom took tetracycline during her pregnancy with me and pretty much my entire smile is light gray. However, bleaching has worked on my teeth much to my satisfaction. Let me know if there are more conservative treatments other than bleaching. I do not like veneers or replacing my teeth. I’m pretty comfortable with my smile. I should stay away from coffee as it does make my teeth darker. Is Water Really Fluoridated With Toxic Waste Fluoride?